It is the beginning of the end. As we stand on the sideline for one final season, watching our high school seniors walk onto the field with their teams, it is a moment to reflect on some of the amazing people we have met. We are breathing in memories from the days when their little legs were so small that their soccer shorts and socks had barely a gap between them. We also recall the final inning home run in third grade and the game-winning touchdown in high school, both straight out of a feel good movie. There were spine-tingling buzzer beaters and heart breaking losses. There were seasons spent mostly on the bench and seasons spent in starring roles. We remember it all. As we move from the sidelines of our kids’ games to the sidelines of their lives, still watching, still cheering, but at a distance, it all comes rushing back. We remember terrifying trips to the ER for x-rays or stitches, clutching a child in our arms and wondering, if only for a minute, whether competitive sports really were such a good idea. There were tears to be wiped, tears of disappointment, frustration, anger or confusion. But, these tears reminded us why our kids play on teams and how many of life’s lessons can be learned on the playing field. And there was joy, pure exultant joy, the cup-overflowing happiness that comes to a child who has worked and practiced and, with a bit of luck, finds the success they pursued. We have cheered and consoled. We have offered first aid and Gatorade. But we have never stood alone. At our sides stood some of the most wonderful parents we ever hope to meet. Some of these parents were our closest friends, others we might never have crossed paths with and count ourselves lucky that we were able to share a bleacher. Those parents who show up with an oversized container of coffee complete with extra cups, milk and sugar. On a cold November day, those parents are gods. Moms who halt the whining of younger siblings by generously offering snacks. We know that, as their parents, we were supposed to provide our small children with refreshments, but every week we forgot and some well-prepared mom stepped up. There is a special place in heaven for parents who arrive at the sidelines with homemade baked goods. Younger siblings, who deserve a lifetime good sportsmanship award for their willingness (not that they had a choice) to come to each and every game and to be bribed by sugar in its various forms. Parents with medical training. The nurses, doctors and others who examined a bumped head or cut chin and gave us reassurance, advice or directions to the ER. Volunteer parent coaches who give up their weekends and their evenings to impart their love of a sport. This is an act of pure dedication as these devoted parent/coaches grapple with the challenges of complaining and abusive parents, disinterested kids and incompetent refs. Our hats are off to you. Sideline friends who have oversized blankets and umbrellas to share. Parents divide neatly into two categories, the prepared and the unprepared, and we are forever indebted to those with the capacity to think ahead. The moms of Varsity players who welcomed us as the newest moms on the team and to their kids who were raised right and, likewise, embraced our kids into the fold. We will forever love your children for making our children feel welcome on the team. Amateur photographer parents with their massive lens and propensity to share. Our kids have no idea that we did not take all those crystal clear photographs of them and we plan on keeping it that way. The team managers, the most tireless souls alive. These were the folks that gave the rest of us marching orders for bringing drinks and moving fields. They were the ones who sent emails at 2 am about weather delays and missing uniforms. How did anyone do this brave work before the advent of email? The stand-in parents. They were the sideline friends who grabbed our kids when the game finished and we were nowhere to be found but rather stranded with a sibling at another game or doctor’s appointment. These stand-up friends waited at the field or dropped our kids back home. Without them our children would still be waiting by the side of that field. Every parent who understood the meaning of the word “team” and showed it by cheering for all the kids, supporting the coaches and keeping quiet about the refs. Their every action set an example to all of our children of the value of good sportsmanship and being a part of something larger than yourself. We hope this is a lesson our kids will carry with them always. We have been blessed to spend a decade and a half among these wonderful souls. We have stood in rain, snow and blazing sun sharing their fellowship and coffee. 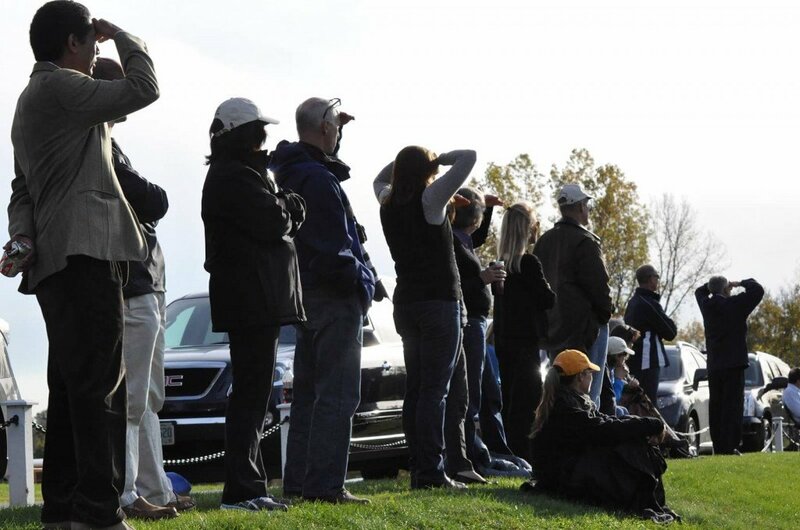 As we wind our way towards the season’s end, savoring the weeks remaining, we look at the parents beside us knowing how large they loom in all that we will miss.